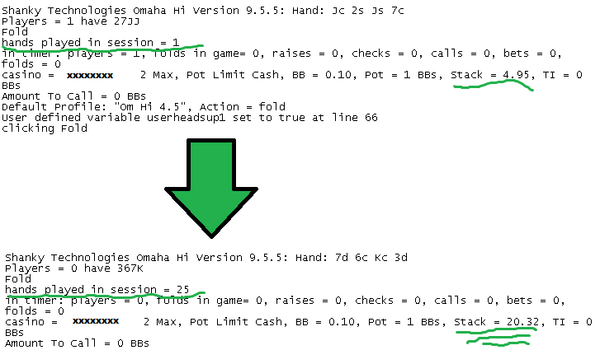 Regarding the new profiles: The most radical changes have been to our Omaha-Hi Bot, especially the cash game profiles. These needed to loosen up for today’s games and adjust better to overly -aggressive villains. We are also including a new Heads Up version in the download. It can be used in full ring games, since the random bluffing codelines only trigger when starting the hand heads up before the flop.